Cîroc Apple starts with Cîroc Ultra-Premium Vodka, one of the only vodkas in the world made from fine French grapes. 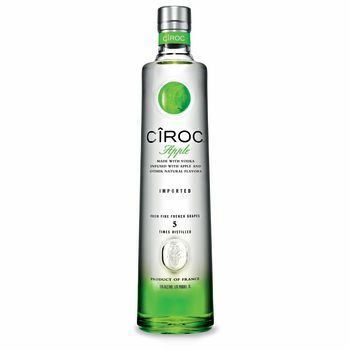 Distilled five times to ensure high quality, Cîroc Apple has the crisp and juicy taste of bright green apples, with hints of vanilla and citrus. It brings an irresistible flavour to all cocktails, creating a sophisticated drink experience.